Zimbabwean international Tinotenda Kadewere has signed for French Ligue 2 side Le Havre AC from Swedish team Djurgarden. 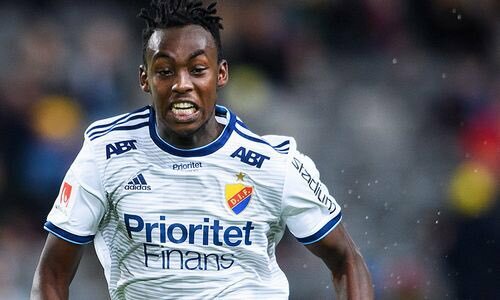 Kadewere has enjoyed a very good start to the Swedish season scoring 8 times in 12 starts leading to interest from a number of European sides despite an injury set back. Kadewere signed a four year deal with the club. The 22-year old was also a key figure for the Warriors as they retained the Cosafa Cup in June. Djuargarden took to their official Twitter account to announce the deal. Djurgårdsanfallaren Tino Kadewere flyttar söderut. 22-årigen från Zimbabwe har skrivit på för Le Havre AC i den franska andradivisionen. Le Havre AC finished fourth in the previous season. They will start their 2018/19 campaign tomorrow with an away clash against Lorient but Kadewere will be unavailable.